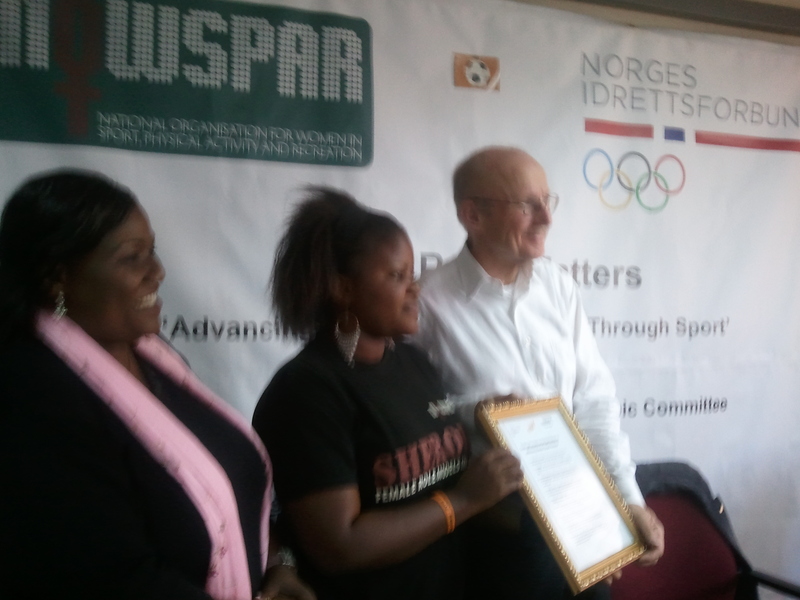 [Lusaka 26.02.12] NOWSPAR today presented the Guiding Principles on Gender Based Violence in Sport to Mr. Wilfred Lemke the Special Advisor to the UN Secretary General on Sport for Development during a forum at NOWSPAR. Speaking at the presentation, Youth Sport Advocate Samantha Lukonde called upon Mr. Lemke to support the campaign to prioritise the implementation of efforts to address violence against women in the global sport for development community. She urged Mr. Lemke to take the issue forward in his work with the UN Secretary General. 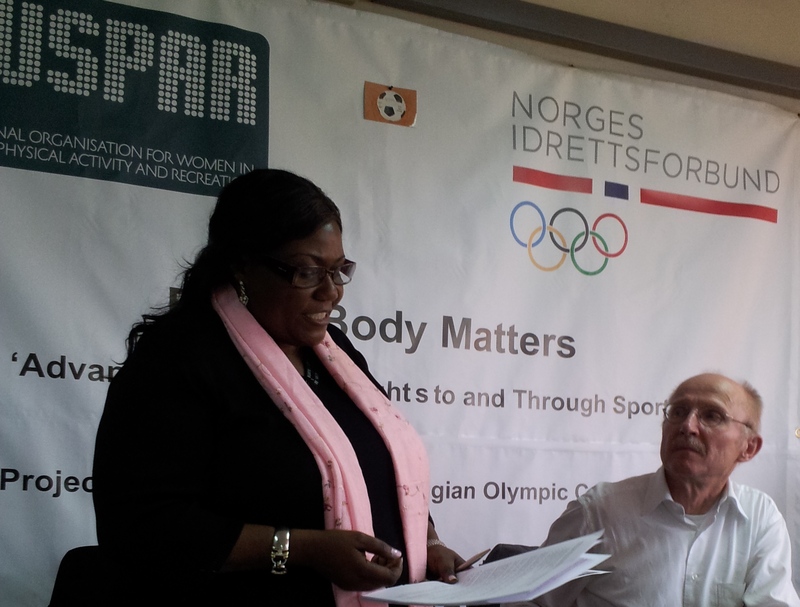 Youth representative on the NOWSPAR Board Carol Chiyasa welcomed Mr. Lemke and highlighted the purpose that NOWSPAR was established and the support we receive from the Norwegian Olympic Committee, the Zambian government and our cooperation with Women Win, the Kicking AIDS Out Network, the Sport for Social Change Network and the International Working Group on Women and Sport. The session was comprised of a demonstration by Marjorettes, Karate by Youngest Zambian Karate Black Belt Natasha Kasanda. SCORE youth leader Carol Shumba presented information on the Kicking AIDS Out Network, while Connie Bolstad, shared about the Youth Sport Exchange Program. NOWSPAR General Secretary Lombe Mwambwa presented the NOWSPAR programs and strategies. Youth Sport Advocates presented on harassment and abuse in sport through a role play. NOWSPAR Executive Director Matilda Mwaba thanked Mr. Lemke for visiting and presented a Copper Clock to him as a gift that should remind him of the urgent action needed in fostering safe sport for girls and women. Ministry of Education representative Mr. Lazarous Karilani expressed support for NOWSPAR evidenced through the office space allocated and space for an information and resource centre and called on Mr. Lemke to facilitate support to mobilise IT equipment for the facility as it will benefit women and girls in sport.